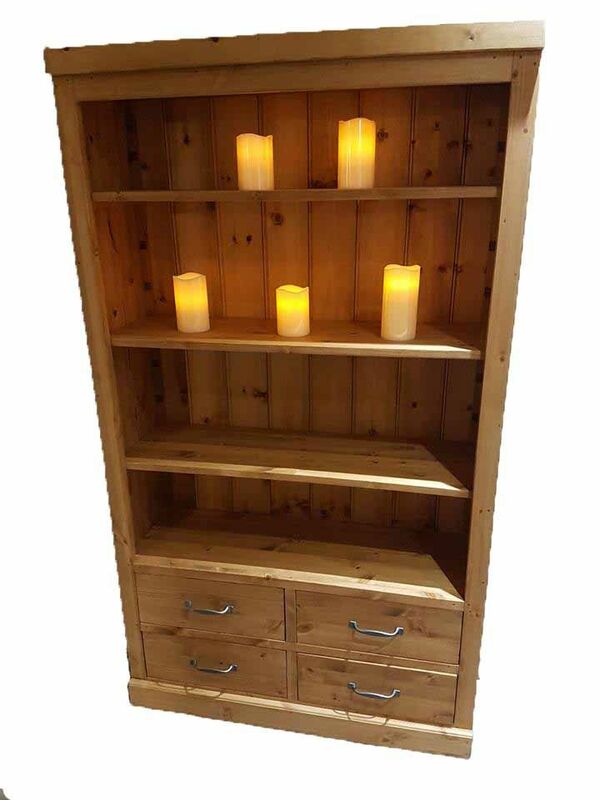 Port Royal solid wood bookcase with 4 drawers and adjustable shelves. Finished in medium oak wax. Like this but want a different size?